Trevor Gidman Where is "Colaknuckle"; "Cadknockles"; OR "Caldknockles", Northumberland? Photograph Chatterley Whitfield Bevin Boys Reunion 1990, 1991, 1992. I am a down the track descendant of Edward Thompson who was in the hotseat for the mine accident in 1881, I have got a copy of the reports of the court case but I am trying to find out more about his family and the personal side of his life, I was wondering if you could help me at all, it seems this accident may have changed their whole lives and could be the reason they came to Australia. I am doing some family research. If you can help would appreciate it. The family would have been known in the district no doubt for bad rather than good. The family ended up in coal mining in a town called Collie in Western Australia. I read with interest the description of the Chatterley Whitfield explosion 1881 in which one of the victims was William GIDMAN; I understand he died in or as a result of the explosion but I know no more than that. I have mentioned him on the last page of my site (www.tgidman.co.uk) so far but I should like to add more if possible. I should like to know how old William was because I have two possibilities on my database and I therefore do not know who his parents were. Is there any chance of you having access to such a record, or of knowing a man who does [or woman]? I cannot find any death registration for him - do you happen to know why this should be or when it was, if I have missed it. If his body was not recovered presumably there would be a long delay but I have gone up to 1901 without success. Perhaps the poor beggars were just "forgotten" in official records. The manager must have been devastated by the loss of his son and then to have a verdict of manslaughter against him would finish him off I should think. I believe William Thomas Gidman was the son of Joseph, an iron puddler, and Mercy who lived in Norton in the Moors in 1881. Most unusually, for a Gidman, he was born in Kent, no doubt because his mother was born in Chatham although Joseph was Cheshire born. His younger siblings were born in Chell Heath. He does not mind you using information from his article and he says William Gidman was 19 years of age. Since writing to you about William Gidman who died in Chatterley Whitfield in 1881 I have discovered, through Ian Winstanley, three other fatalities in 1904 and 1941. I have had to change the name of the page William Thomas to Miners. Where is "Colaknuckle"; "Cadknockles"; OR "Caldknockles", Durham or Northumberland? My neighbour's ancestors by the name of GREENER were miners in the Seghill, Seaton Delaval area of Northumberland. I have found a Rochester but it is in Northumberland and I cannot see anything resembling the other place in either county. Perhaps you have a contact in the area who would be able to hear it as it might have been said who could throw some light on it? My neighbour has no idea; his father came down south in the thirties as a youth to get employment. In 2007 you had a query about a place called Colaknuckle or similar in Durham where a family called Greener lived. On 8th Feb 2009 you had a reply from Tricia Turner, see above. My neighbour then was and now is a Tony Greener; I had been looking at his family history. I passed on what I had found and thought that was the end of the matter. Today 27 July 2013 Tony had a gathering of Greener people. Amongst his guests was Tricia, living in Norfolk, and he invited me around to meet her. It would seem your site was vital for Tony to find out where he came from. 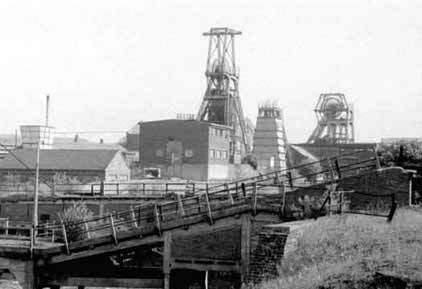 My Granddad Horace Wilshaw worked at Chatterley Whitfield mine in 1950. I want to find anyone who worked with him or has any information about him. Do you have a list of the victims? I wonder if you might have a list of the victims of the 1881 Chatterley Whitfield mine disaster. Please do you have any information about my Great Grandfather, Stephen Offer, of the house The Elms, Cheadle Stoke-on-Trent He mined in the area and built a tunnel, I believe for a railway. I was wondering if you knew about a mining accident at the above mine that killed a Thomas Mountford in 1919? or where I could find some information from.